The Two Oceans Restaurant at Cape Point has just been refurbished. doesn't it look amazing? 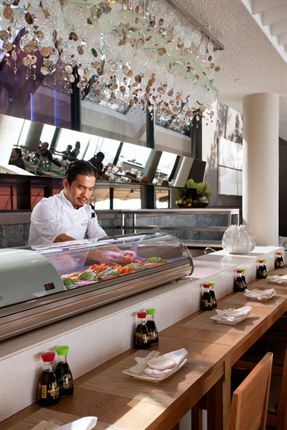 Sarawut Sukkowplang hard at work in the sushi section of the restaurant. 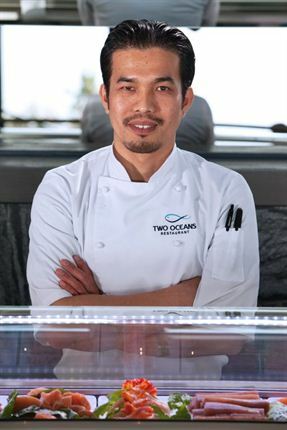 Sarawut Sukkowplang is the head sushi chef. 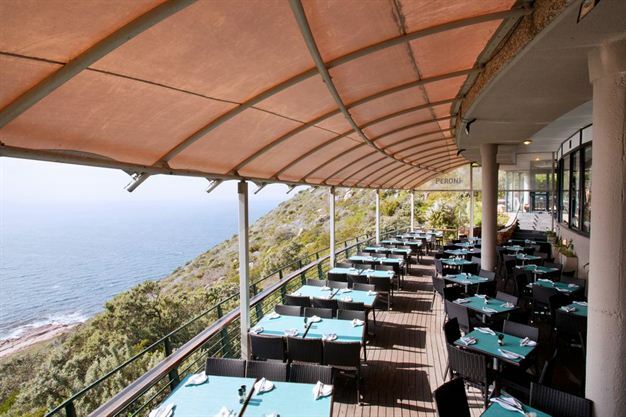 The restaurant is set into the cliffs high above Cape Point, insuring a breath-taking view. 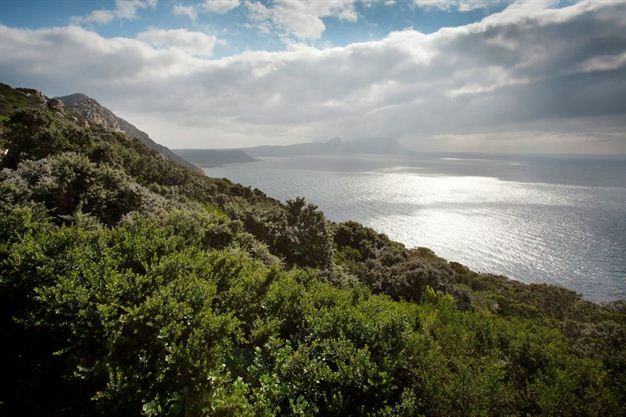 Customers can take in this beautiful view of False Bay from the balcony. 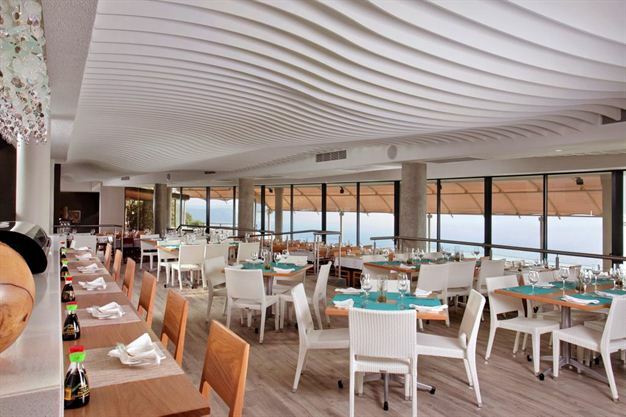 The ceiling design was inspired by the rib cage of a whale and the movement of the wind. 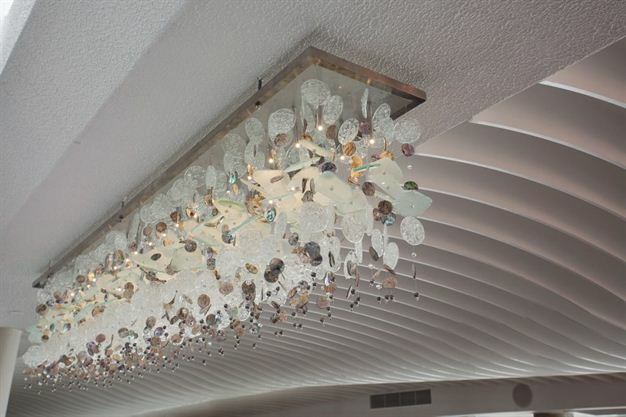 The chandeliers are whimsical arrangements of “beach trinkets” of glass, shells and bone. 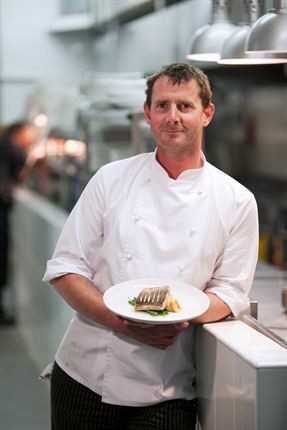 Executive chef Phil Alcock smiles for the camera. Two Oceans restaurant has been open for business for 16 years.